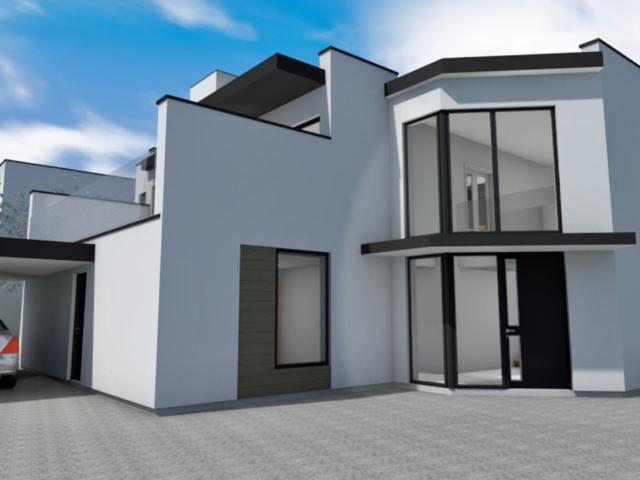 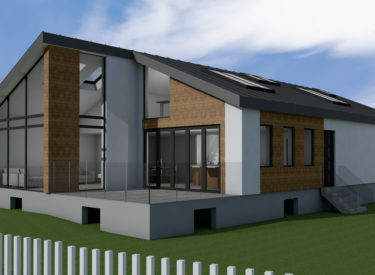 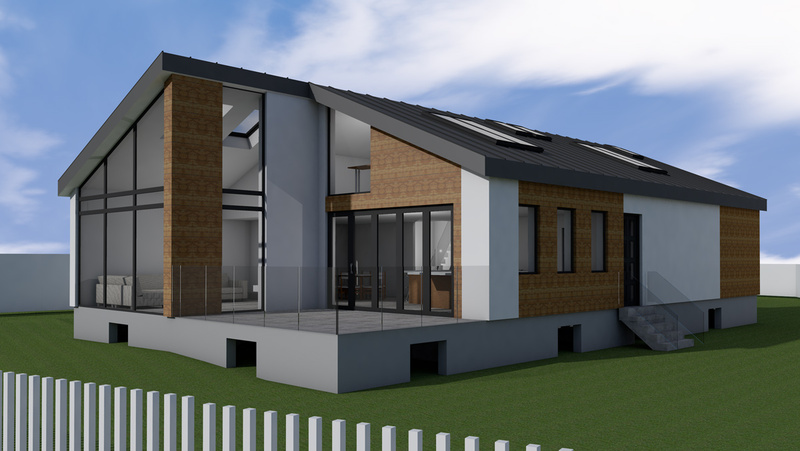 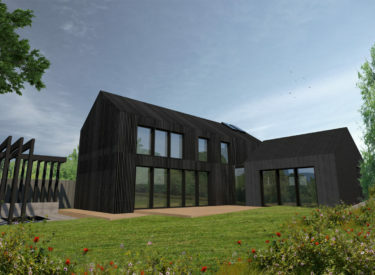 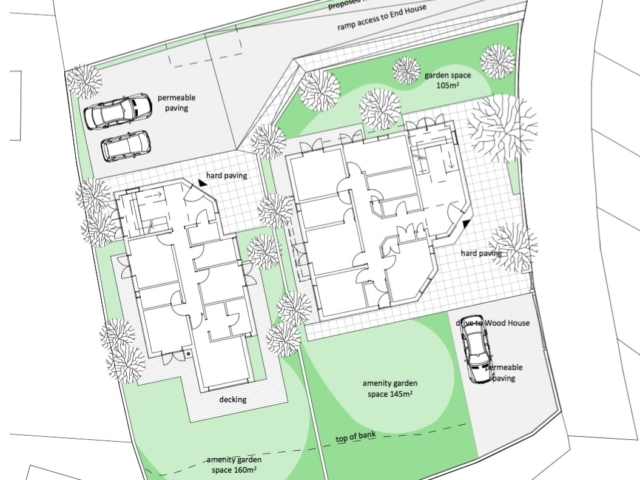 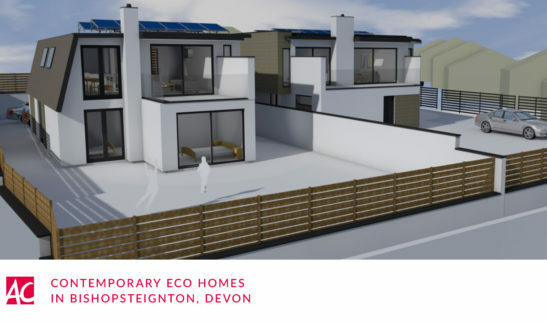 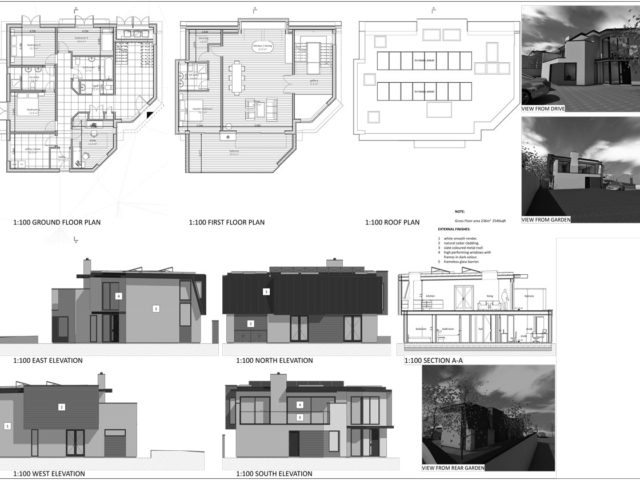 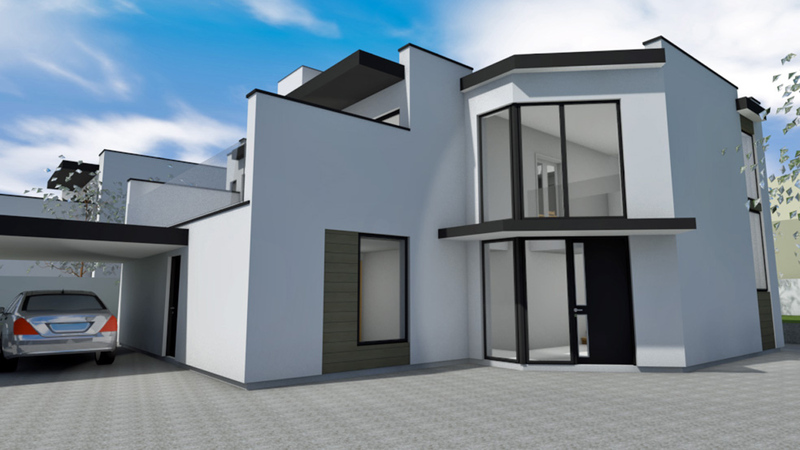 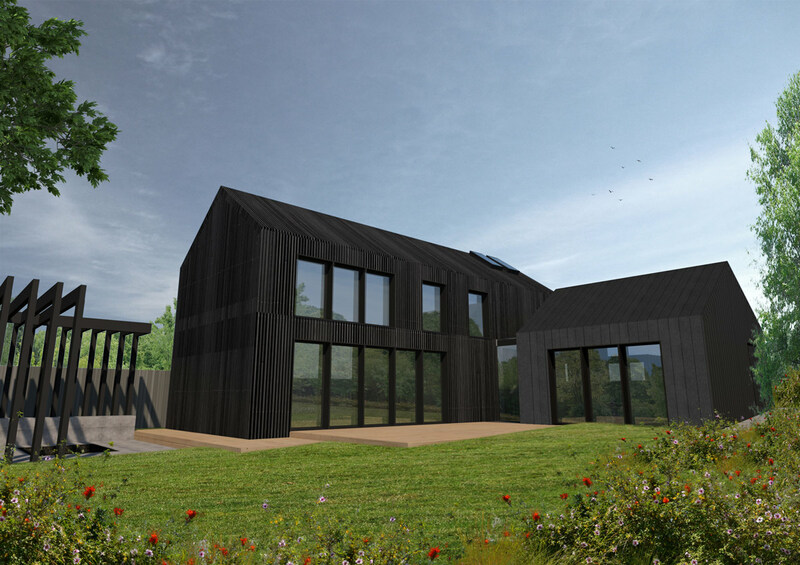 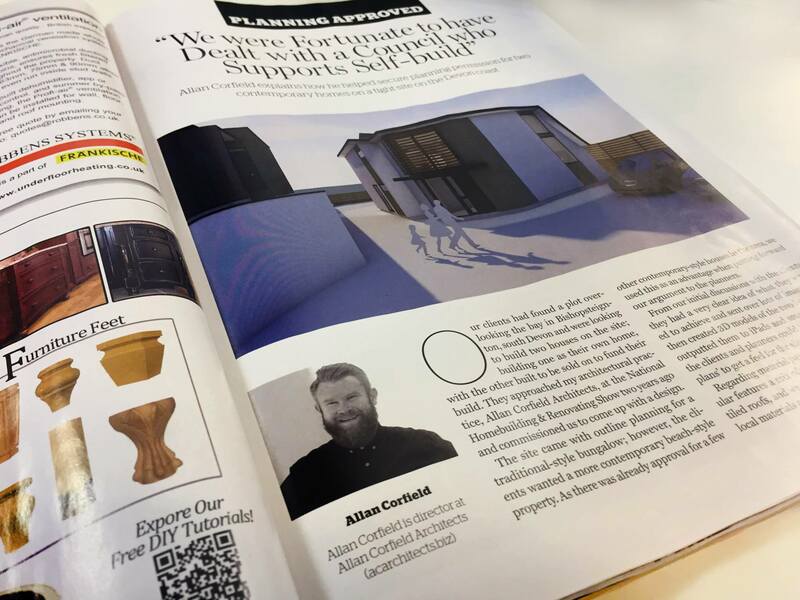 At the start of 2016 ACA were appointed by a couple looking to build a pair of low energy eco homes, Devon. 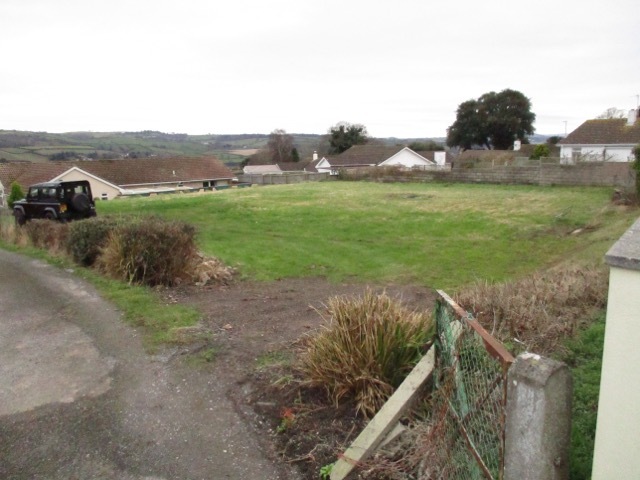 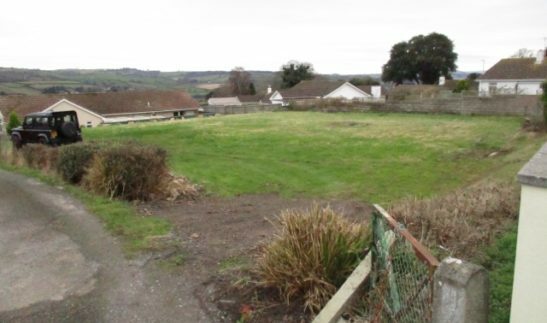 They had recently purchased a former bowling green plot, which benefited from an outline planning consent for a new large single story dwelling house. 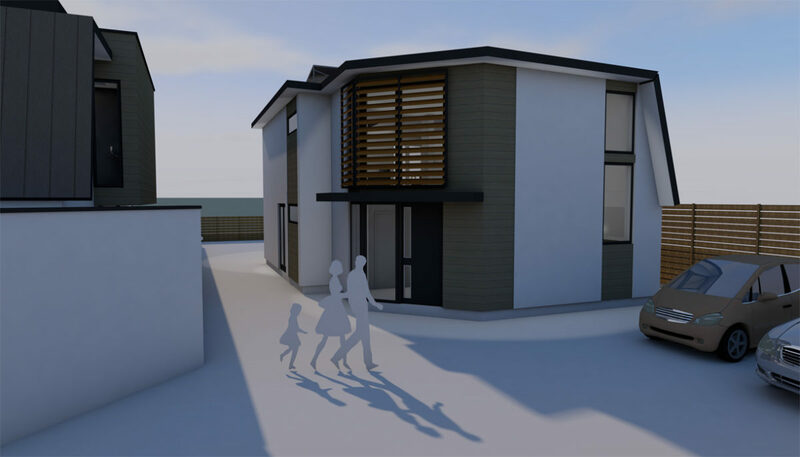 However, our clients wished to build 2 homes – one house for themselves, funded by the development of a second property which would be sold off plan. 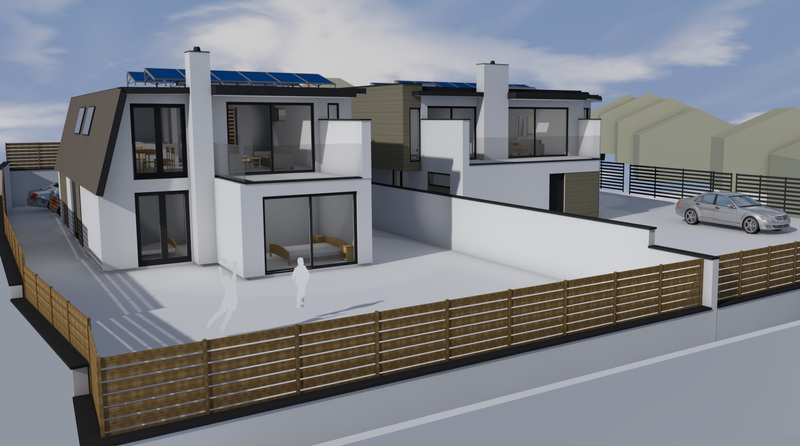 The design process for the two low energy eco homes was going to be tricky due to the tight site constraints and potential for overlooking. 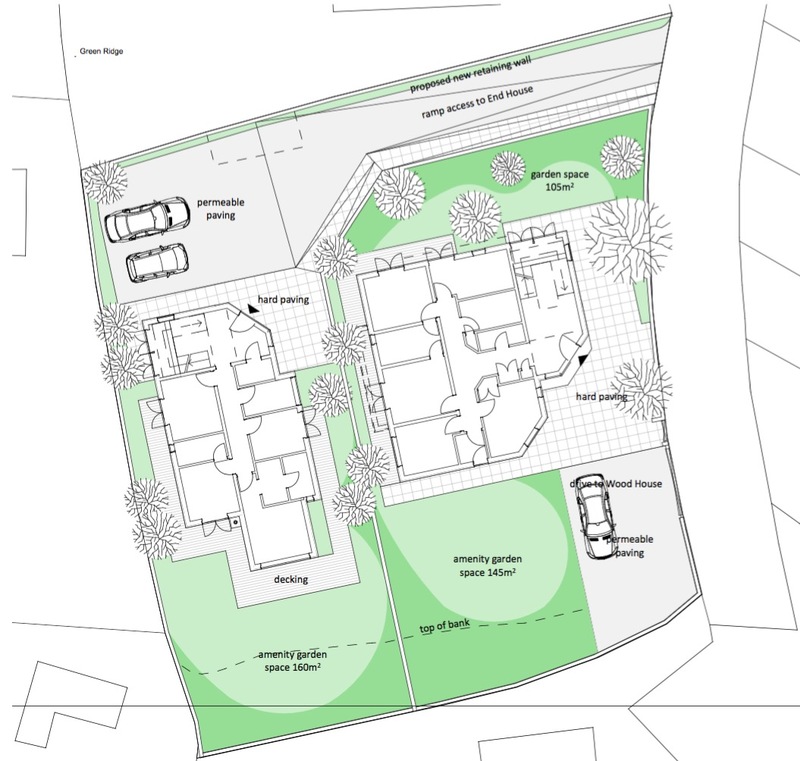 Detailed 3D models were made of the surrounding properties and our proposed homes, which were then used to consult with the local planning team. These varied meetings allowed for various design tweaks and massing changes in order to come up with a scheme which they could support. 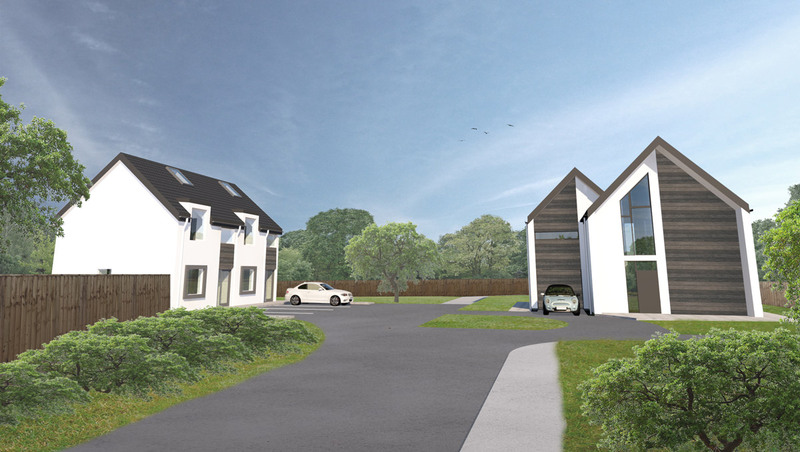 Due to the contentious nature of the site, the planning application for the low energy eco homes went to committee for review. 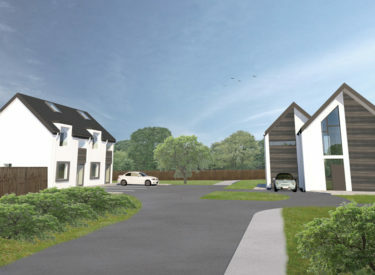 After 2 committee meetings, a site visit and presentation by Allan – the application was approved. 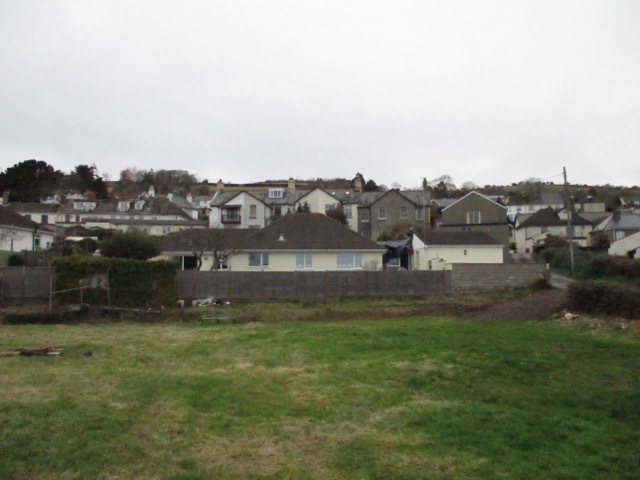 Due to the stunning views of the bay, the houses were designed with the main living accommodation on the first floor, with the bedrooms on the ground. 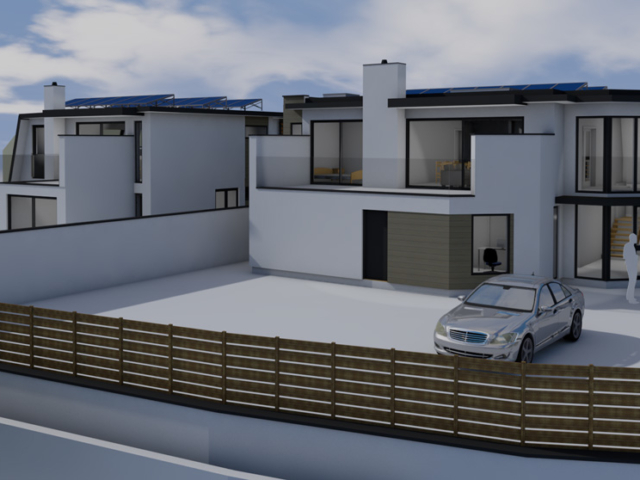 This meant that integrated balconies could be fully utilised to capture the stunning views and the suns natural solar gains. 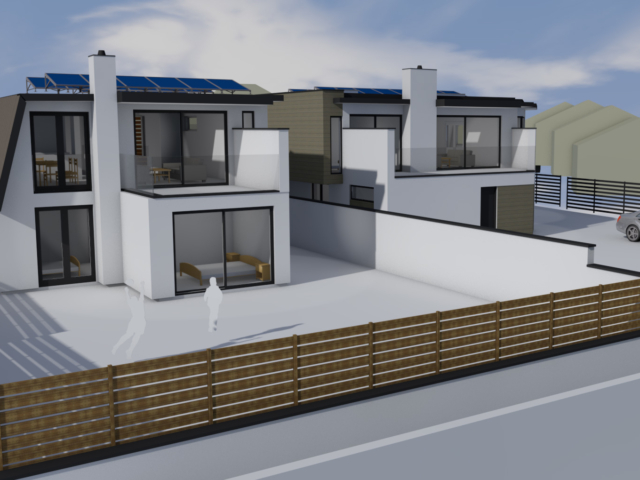 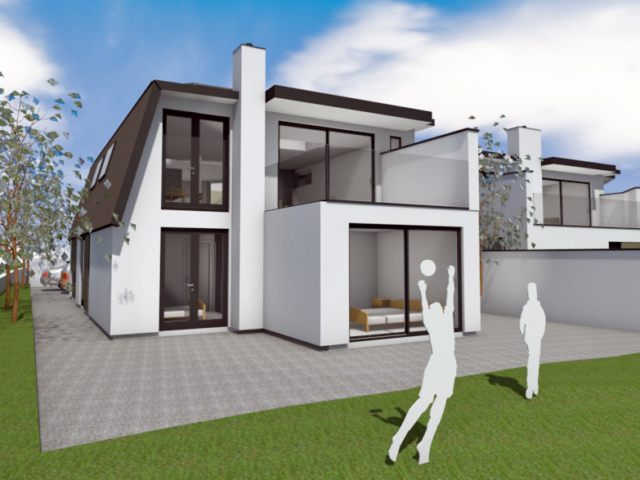 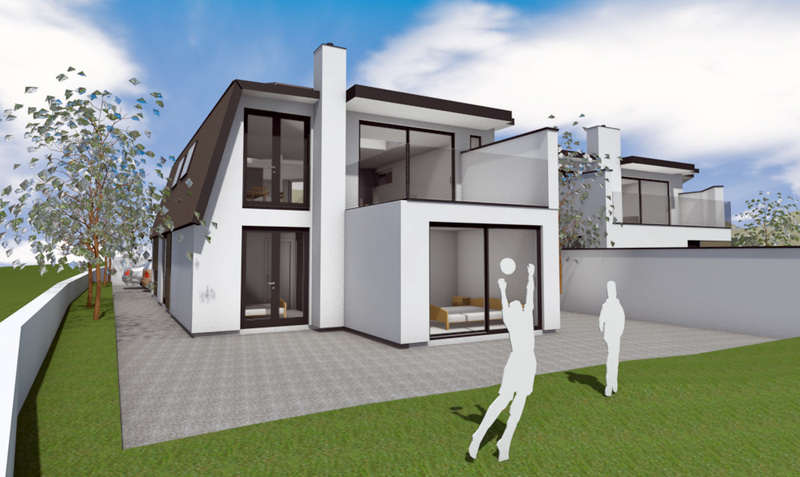 The houses have been designed using Passive House Design principles and making the most of the PHPP software, in order to make the houses as efficient as possible. 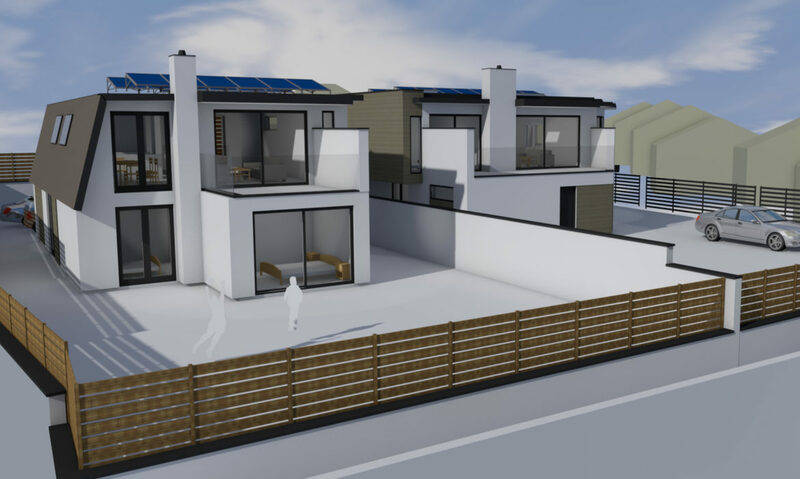 They will be built with high-performance timber frame construction, with a large amount of insulation, triple glazed windows and renewable heating systems. 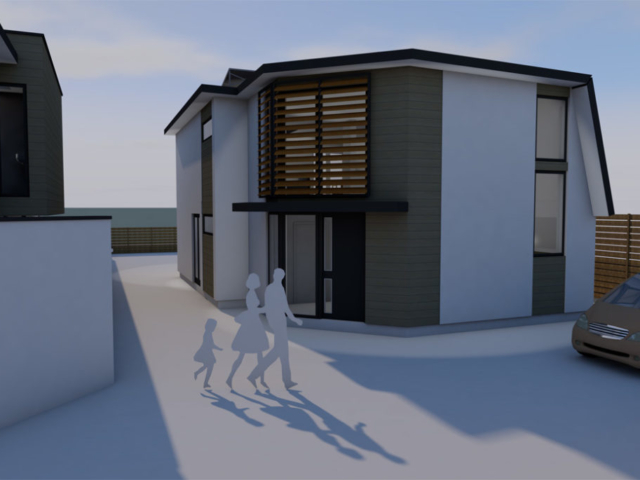 The clients will manage the construction process with houses due to start on site in late 2017 with a completion by mid-2018.